The safest way to dig. Hydrovacs are quite simply the safest way to dig around buried utilities and infrastructure. Hydro excavation is a non-destructive process that replaces backhoes or hand digging to expose underground lines quickly and safely. Hydrovacs use pressurized water (Hydro) and a powerful vacuum system (Vac) to remove soil without damaging even the most sensitive facilities, including fiber optic cables, electrical lines and PVC pipe. We’re LT licensed to haul hazardous waste. Hydro excavation continues to gain recognition as the best practice for uncovering facilities, especially in congested or frozen grounds. Tornado Hydrovacs lead the way with the industry's safest, most productive and user friendly Hydrovac available. • Fully Trained Confined Space Entry, Man Watch and Rescue. Cyclone Hydrovac Ltd. has established strong partnerships with local Kamloops and surrounding area Aboriginal groups. 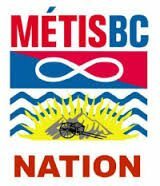 We believe in a strong involvement with Aboriginal groups and will employ Aboriginal personnel and subcontractors to insure we all benefit from projects in and around Kamloops and out lying areas. Environmental damage and restoration costs are significantly reduced using Tornado Hydrovac systems because surface damage in the surrounding excavation zone is greatly minimized. LT licensed to haul hazardous waste.